As we roll through this crazy thing called life, I will say, price tag or no price tag, I tie many things to experiences and memories. I pull music, items, places, faces, temperatures and feelings to a specific place and time. This past summer, I did the unthinkable, quit my job, took my money and ran. I booked a flight immediately to Spain to visit my best friend currently living in Madrid. As another friend and I joined our bestie in Madrid, we had our month mapped out, hopping from city to city by train, plane and foot. We schlepped our belongings around in the heat, the rain, up hills, through rain and sand. 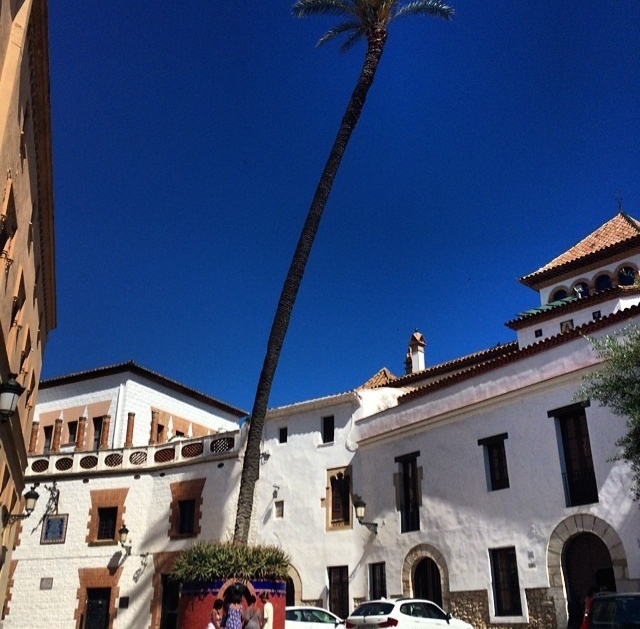 It was in a little beach city that we stopped at called Stiges Beach where we explored a town that made us feel closer to Greece, with a mediterranean-spanish vibe and a deep blue sky that flowed above us, there was only one thing we had our eyes set on doing. Laying out in the soft sands of Spain while taking occasional dives into the salty Atlantic. I’ll never forget that day. The memory of the hot sun beating down on our sandy bodies, laying out and relaxing with two of my favorite girls while we listened to music and the sweet sound of young spanish kids playing around us. There is no comparison. I could say I wish I had a photo, but I have a memory instead, that pierces my mind on any given day, which is enough. 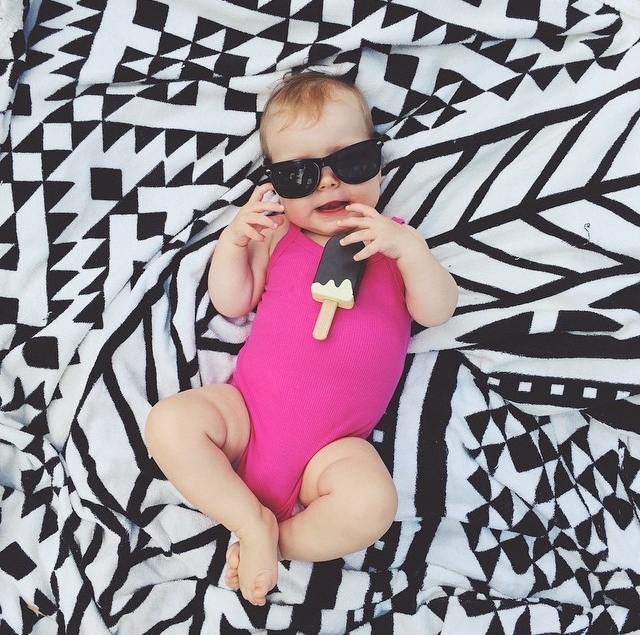 I had to tell you about this experience before I told you about my favorite go to beach towel. 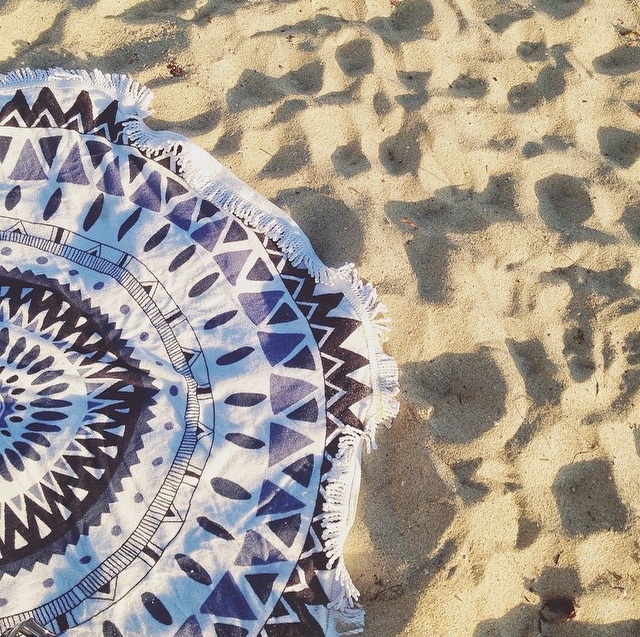 Laying together on my roundie from The Beach People is what made my memory complete. If we were all laying out on our own towels separately, I can’t say my memory would have been the same. I am obsessed with The Beach People Roundies. They are super soft, thick, large and have some of the cutest designs around. The edge of the towel is also finished off with a unique fringe that makes the towel an overall keeper for any day in the sand or park. I don’t typically spend a lot of money on items of the like, but I can never say no to a super unique item that I know stands out from the rest. 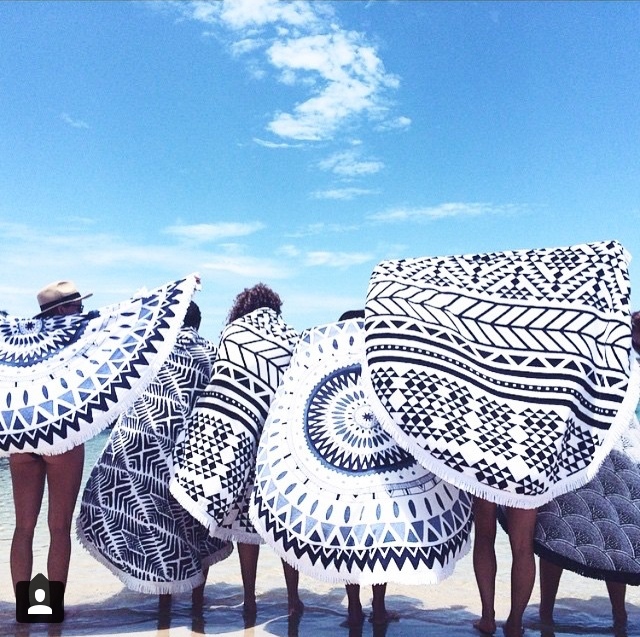 I currently have The Beach People Roundie – Aztec Towel which i am SO in love with. If you think $99 is too pricey for a solid beach towel, think about all the towels you’ve bought in the past that you probably use so infrequently it makes it pointless having so many. My thoughts are invest in one amazing towel that you will not only take care of, but use more for your weekend outings.